The Cultured Kitchen BBQ campaign is wrapping up summer on a sweet note! My challenge this month as a Cultured Kitchen Ambassador for Blue Dragon Canada and Patak’s Canada was to create an easy and authentic dessert recipe. 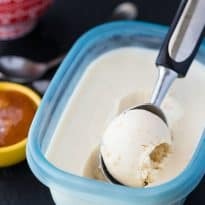 I decided to make two varieties of no-churn ice cream because every summer BBQ should have ice cream for dessert! This may be one of the best ice cream flavours ever! That’s what my cousin, Allison, says anyways. She asked if she could take the carton home because she loved it so much. The star ingredient is Blue Dragon Sesame Oil. 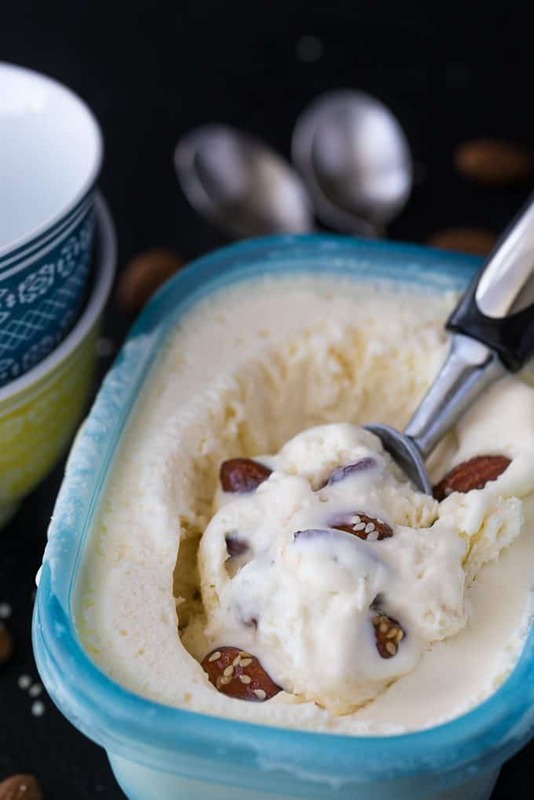 I used it to create the sweet coating on the almonds nestled throughout the ice cream. They add a beautiful “East Made Easy” Asian flair. I roasted the almonds in the oven first and then coated them in a sauce made of honey, brown sugar, sesame oil and sesame seeds. They bake quickly after you put the coating on them so you’ll need to babysit the oven. They take just a few minutes. You may be tempted to pop one in your mouth right away, but don’t. They are extremely hot. I learned that the hard way! The ice cream itself is made from whipping cream and sweetened condensed milk. Add the cooled coated almonds and stir together to combine. Add the mixture to a freezer safe container and place in the freezer for at least 8 hours. I was also challenged to “Mix in a Little India” in a summer dessert recipe. I selected Patak’s Sweet Mango Chutney as my star ingredient and made another batch of no-churn ice cream. This recipe is only three ingredients: whipping cream, sweetened condensed milk and Patak’s Sweet Mango Chutney. It’s not your typical ice cream flavour, but surprisingly it tastes pretty good! My cousin’s husband, Darwin, was a big fan of it and asked for a second helping for dessert. I love how the Sweet Mango Chutney gives this ice cream a pretty orangish hue. It was creamy, smooth with a slightly tropical sweetness. 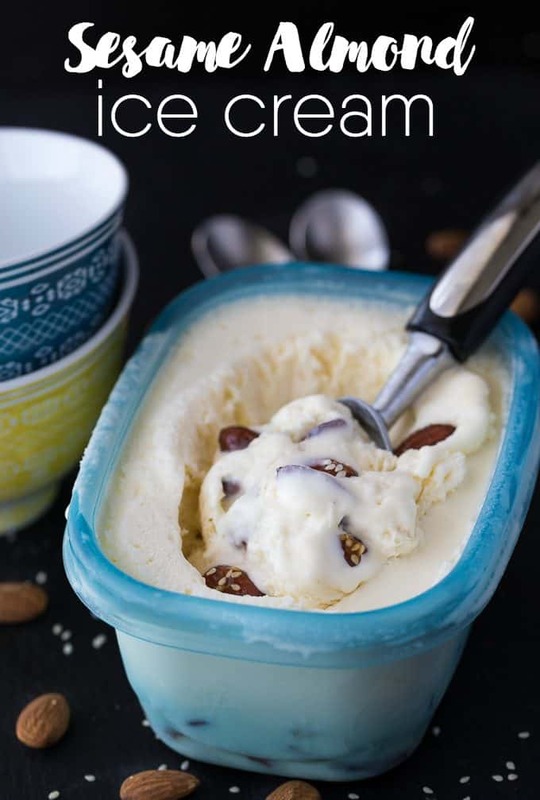 If you want to think outside the ice cream carton and try something different, this ice cream recipe is for you. Out of these two ice cream flavours, which one are you most interested in trying out? Stir in Patak’s Sweet Mango Chutney. Disclosure: I am part of The Cultured Kitchen Ambassador program in partnership with Blue Dragon Canada and Patak’s Canada and I receive special perks as part of my affiliation with this group. The opinions on this blog are my own. Would love to try the Sesame Almond ice cream. Forget about choosing, I want to try both of these recipes. The almonds sound delicious. I might want to eat them before they even get into the ice cream! Pataks Mango Chutney is a staple in our household and it looks like I have a new use for it. Thank you for both of these ideas. I like the combination of nuts, I would try this. The Mango Chutney Ice Cream looks different and tasty! I love ice cream, but I will have to admit I have never heard of Sesame ice cream! From the ingredients I would have to say it looks good and I will have to try it! Mmmmmm, those look pretty yummy! Thanks for the recipies. I love unique ice cream flavors. These are fabulous! And I’m a wee bit crazy for mango!! I am most interested in trying the Mango Chutney Ice Cream. I’ll definitely try all ice cream recipes I can get before summer ends! This one looks yummy! I have never heard of SESAME ALMOND ICE CREAM before, very different!! The Mango Chutney Ice Cream looks different and sooo good! I can’t wait to try your recipe! Wow! That Sesame Almond ice cream is intriguing me! It sounds a bit strange but delicious! Yum!! I love ice cream and I love trying out new recipes!! The almond would most likely be a hit for me! These are great ice cream recipes. I will have to try the Mango Chutney Ice Cream first. It looks so delicious. 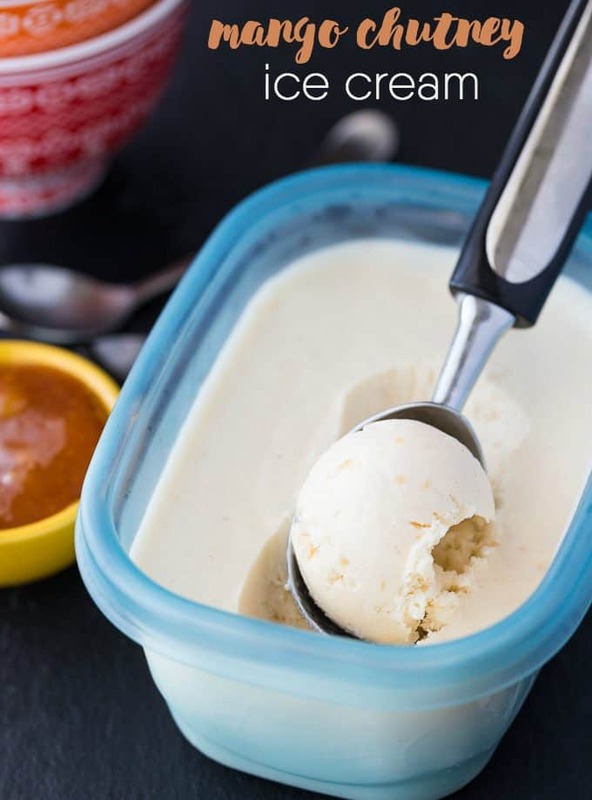 Mango Chutney Ice Cream sounds amazing. I will have to get the ingredients I need to make some this weekend. That actually sounds really good! I’ve been wanting to make some ice cream too. I think I’ll be giving this one a try soon. I am a fan of different and unique ice cream flavors myself. I think these would be really tasty and perfect! This actually sounds really good, not a combination that I would of thought of but I think it is one I would like to try. What a neat treat!! YUMMY! these all look absolutely amazing! I want to try them all and will certainly give them a go! I must have the sesame almond ice cream! Mango ice cream! Yum! I want to try and make this ice cream. I bet it tastes so good. Thanks for the recipe! Thanks for sharing these recipes. I got into making my own ice cream last summer and haven’t bought any since. These look like great recipes to try – pinned. I am such a sucker for anything Mango! Pinned to try. Looks very delicious! I am a huge fan of ice cream. Havent mixed ice cream like you did. Will have to try it out. Thanks for sharing. Sesame Almond would be a nice change in our home,it l! !